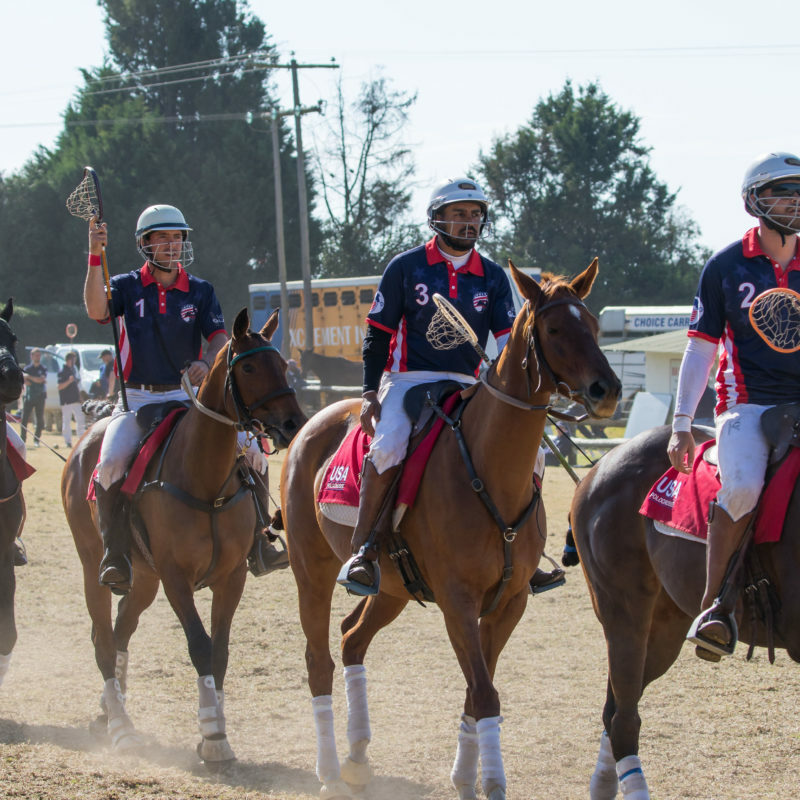 The sport of polocrosse is unique in many different ways but one of our best differentiators is the opportunity our sports offers to its players to send our top four men and top four women to an international champion tournament every four years. This event is known as the Polocrosse World Cup. The next World Cup is scheduled for April 22-28 2019 in Queensland Australia. Morgan Park in Warwick was the venue for the 2003 and 2007 World Cups as well so they know how to put on a great event! Celebrating 80 years in 2019, the Polocrosse World Cup will bring players from eight countries – Australia, New Zealand, South Africa, USA, UK, Ireland, Zambia and Zimbabwe – to southern Queensland to see which team reigns supreme. As current world champions, South Africa will be fighting to hold onto the title, while former champions, Australia, will use their home turf and supporters to their advantage to try and take it back. Currently, we have a group of elite American polocrosse players are in the beginning stages of their three year long quest to the Polocrosse World Cup 2019 in Australia. Maturity, sacrifice, and full commitment are characteristics that are needed for the USA World Cup Squad to be successful. There are returning members from the USA World Cup 2015 Polocrosse Team and some very promising new members. There is a really good mix of talent and the USA Squad is excited to be training hard, playing together and traveling internationally to prepare for the World Cup in 2019. We are proud to announce that James Hackland from South Africa, has been named the World Cup coach for the USA 2019 team. We are thrilled to have him on our team and look forward to working with him! Because this life commitment is all funded through sponsorship and fundraising, The USA Squad is starting to plan for fundraising opportunities and looking to partner up with companies to make this journey possible. Everything counts and all the sacrifices, triumphs and losses along the way will be absolutely worth it when this USA Polocrosse Team walks through the goal posts for the first time to play in the Polocrosse World Cup in 2019. Karl Balogh, Braxton Hamlin, Rob Shuttles, Rahul Desai, Stephanie Shuttles, Kat Liner, Megan Waggener, and Sarah Desai. Team Manager is Mary Ladnier. Our Coach is James Hackland. You can follow us on Facebook, Twitter, and Instagram as well as this website for more updates and opportunities. If you would like to get involved, please email teamusa@americanpolocrosse.org. There are many ways to help make this the most successful team thus far. Volunteering time, offering support, horses to play and train on, or sponsoring are only a few ways to help this team reach their goals. This dedication to represent the USA in the Polocrosse World Cup is self-funded so any donation is greatly appreciated.